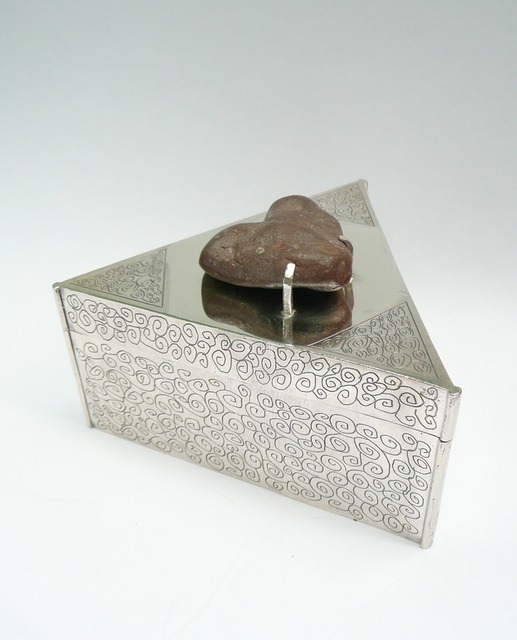 "Anniversary Keepsake Box", etched, soldered, and hinged. Sterling silver, found stone, 3.5" x 3.5" x 2", 2010. Private commission.